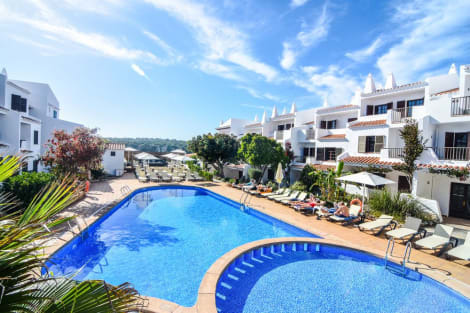 An adults-only Menorca hotel, Sa Barrera is found in the heart of Cala en Porter, on a cliff top overlooking a beautiful beach, and surrounded by shops and nightlife. The hotel’s pool features attractive underwater lighting and you can unwind on the terrace and take in the sea view and enjoy fresh Italian, Spanish and local dishes in the restaurant or cocktails and snacks in the bar. Rooms offer modern comforts like flat-screen satellite TV, free wi-fi, safes, minibars and private bathrooms. Make yourself at home in one of the 59 air-conditioned guestrooms. Rooms have private balconies or patios. Complimentary wireless Internet access is available to keep you connected. Bathrooms feature showers with rainfall showerheads. Make yourself at home in one of the 61 guestrooms, featuring kitchens with refrigerators and stovetops. Rooms have private furnished balconies. Complimentary wireless Internet access is available to keep you connected. Conveniences include safes and microwaves, and you can also request cribs/infant beds (complimentary). When you stay at Aparthotel Nelva Resort in Alayor, you'll be near the beach and 5 minutes by foot from Xoroi Caves. 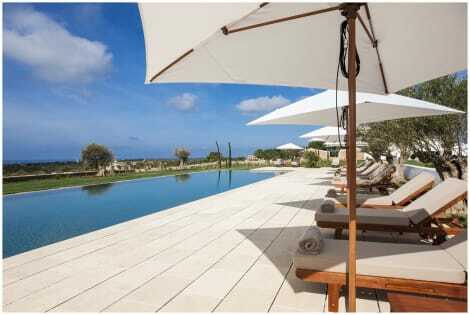 This aparthotel is 8.7 mi (14.1 km) from Mahon Harbour and 11.6 mi (18.6 km) from Son Bou Beach. Treat yourself with massages and facials. You can take advantage of recreational amenities such as an attached winery, an outdoor pool, and a fitness center. This Mediterranean hotel also features complimentary wireless Internet access, concierge services, and shopping on site. lastminute.com has a fantastic range of hotels in Cala En Porter, with everything from cheap hotels to luxurious five star accommodation available. We like to live up to our last minute name so remember you can book any one of our excellent Cala En Porter hotels up until midnight and stay the same night.